Welcome to Fluent In Foreign Business™. Fluent In Foreign Business™ is a unique business development and risk management platform, designed to help exporters, manufacturers, franchisors and investors successfully enter foreign markets or expand their existing international operations. With the help of the proprietary Road Abroad Toolbox™, developed as a result of decades of business experience in over fifty countries, our professionals at Fluent In Foreign™ help to simplify the process of dealing with a variety of issues ranging from researching and entering foreign markets, selecting the right partners, dealing with corruption and language and culture gaps, to dealing with U.S. government trade and development agencies, financing exports and projects, insuring investments and protecting future income. Government agencies such as foreign ministries, the U.S. Department of State, diplomatic corps and foreign services have so-called “charm schools” to train employees to handle themselves in foreign markets. A number of leading universities offer programs in international business, geopolitics, and global affairs. However, most of the businesspeople that end up doing business in foreign markets or with foreign companies, have never attended, or will not attend, such programs. Fluent in Foreign™ is for them. No other organization approaches international expansion in such a fundamental way, as does Fluent In Foreign™. It is an unparalleled resource in helping you and your company prepare to enter foreign markets or expand its existing international operations in the most efficient and risk controlled manner possible. All we ask of you and your colleagues is a strong desire to learn and we will help you do the rest. You have my word on that. 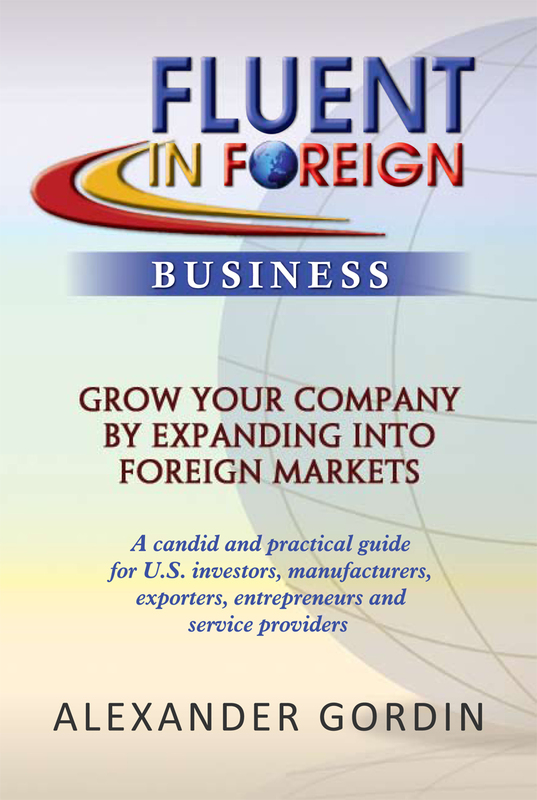 I invite you to become Fluent In Foreign Business™. 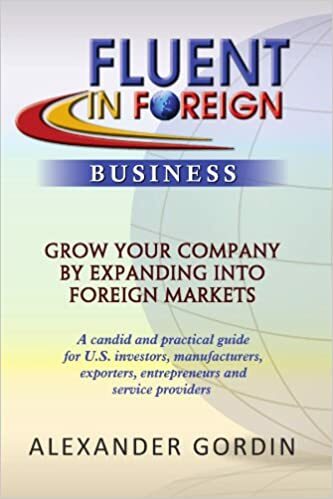 Fluent In Foreign Business™ was created with a singular purpose – to help exporters, franchisors and direct investors overcome international cultural divide and successfully develop or expand their operations abroad. In order to do that, we developed the proprietary Road Abroad Toolbox™, which encompasses our Develop, Insure, Comply, Educate and Finance approach. Utilizing this approach, we are able to provide top-level professional services to help identify and mitigate risks, deal with complex cross-border legal and compliance issues, as well as to successfully finance our clients’ trade, franchises and/or direct investments. We can assure you that nobody else does this with the kind of dedication and to the extent that we do. We live, sleep and breathe international business. It is not only what we do, but who we are. There is only one thing we ask in return from our clients – commitment. Fluent In Foreign Business™ has been designed to let its users master international expansion techniques in well-defined, easy steps. Whether our clients are just considering international expansion for the first time or have considerable international experience and are looking to enter new markets or whether they look to acquire sophisticated tools such as export finance or political risk insurance, the Fluent In Foreign™ toolbox can effectively serve their needs. Just like any serious undertaking, be it a quest for an Olympic medal, a starring role in a major motion picture film or a quest for a Nobel Prize, a successful international expansion will take desire and dedication at every organizational level from the top down and will require sufficient time, money and administrative resources to be allocated in the process. A typical path for our Clients begins as they start working with the Fluent In Foreign Business™ book. This book may be studied at a reader’s own pace and serves as an overview of the issues faced by most companies as part of international expansion. Most importantly, the book provides a framework for decision makers on how, or even whether to proceed. The author’s personal experiences, as well as real life situations, which our friends and clients have faced over the last several decades, illustrate the concepts presented in the book. 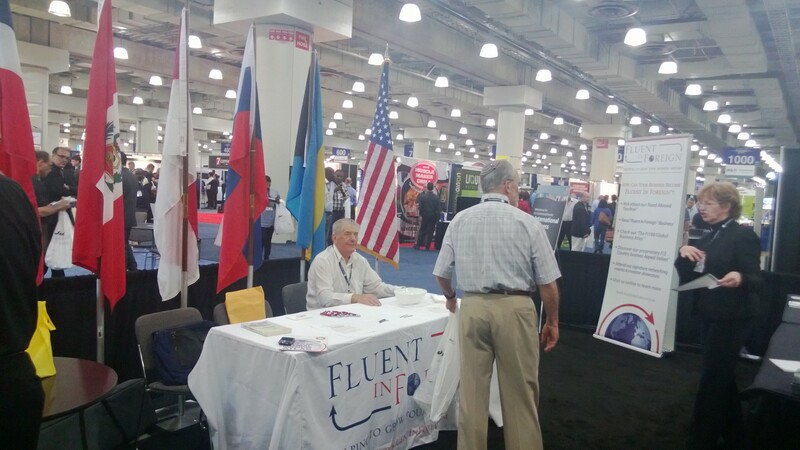 The next step in the process is the Fluent In Foreign Academy™, where our clients can bolster their international IQ by selecting from a wide collection of over 75 webinars and seminars on topics ranging from basic Fluent In Foreign Business™, to Fluent In Franchise Financing™, Fluent In OPIC™ to Fluent In Export Controls™. During the third phase of the program, we work with our clients to create a customized Fluent In Foreign Road Abroad Guide™ – a comprehensive document which serves as a strategic business plan for their international expansion. The Guide is supplemented by the proprietary Fi3 Country Business Appeal Indices™. These are forward looking indicators, which take into account multiple data points that measure the attractiveness of 180 countries for exporters, franchisors and investors. 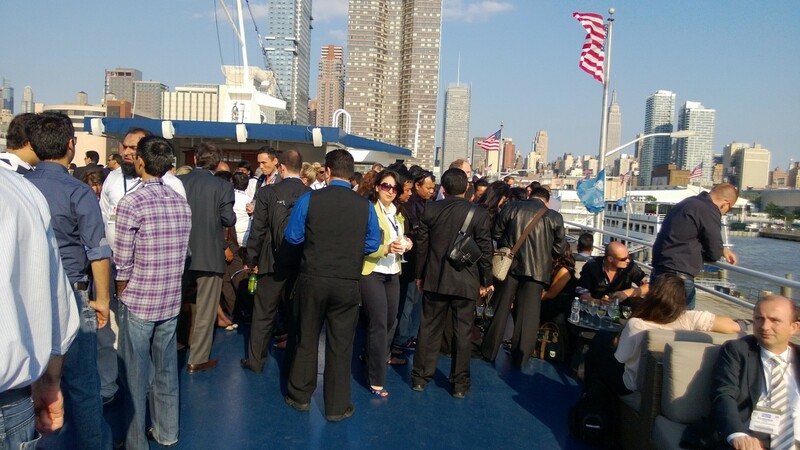 Clients also participate in a number of carefully orchestrated networking events where they meet potential partners, customers, suppliers and government officials. For those clients who have demonstrated commitment to international expansion and have acquired the necessary skills, members of our team will actually roll up their sleeves and become an integral part of our clients’ international business development team. Our professionals will travel to target countries to assist with partner selection, government introductions and other business development activities. In certain cases we will even outsource and completely manage your export operations.